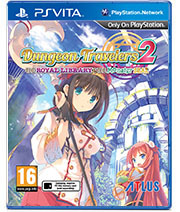 Dungeon Travelers 2™: The Royal Library & the Monster Sea | NIS America, Inc.
© 2015 AQUAPLUS. © ATLUS. Licensed to Atlus U.S.A., Inc. Sub-licensed to and published by NIS America, Inc.